The Filmfare Awards, presented by The Times Group, are a set of awards that honour artistic and technical excellence in the Hindi-language film industry of India. The Filmfare ceremony is one of the oldest and most prestigious film events in India. The awards were first introduced in 1954, the same year as the National Film Awards. They were initially referred to as the "Clare Awards" or "The Clares" after Clare Mendonca, the editor of The Times of India . A dual voting system was developed in 1956. Under this system, in contrast to the National Film Awards, which are decided by a panel appointed by Indian Government, the Filmfare Awards are voted on by both the public and a committee of experts. The cinema of South India is used to refer collectively to the five different film industries of South India: Kannada, Malayalam, Tamil, Telugu and Tulu film industries, as a single entity. They are based in Bengaluru, Kochi, Chennai, Hyderabad and Mangalore respectively. A trophy is a tangible, durable reminder of a specific achievement, and serves as recognition or evidence of merit. Trophies are often awarded for sporting events, from youth sports to professional level athletics. In many sports medals are often given out either as the trophy or along with more traditional trophies. Eldred Gregory Peck was an American actor. He was one of the most popular film stars from the 1940s to the 1960s. Peck received five Academy Award for Best Actor nominations and won once for his performance as Atticus Finch in the 1962 drama film To Kill a Mockingbird. The 64th Filmfare Awards ceremony, presented by the The Times Group, will honour the best Indian Hindi-language films of 2018. The ceremony was held on 23 March 2019 in Mumbai. ↑ "Filmfare Awards have lost their gleam over the years". Archived from the original on 16 February 2016. Retrieved 8 March 2011. The Filmfare is equivalent to the Oscars for India. ↑ "Filmfare Marathi: Nominations are out - Times of India". The Times of India. ↑ "'Filmfare Awards to introduce Short Film category this year; Vidya Balan, Gauri Shinde on jury' – First Post". firstpost.com. 2016-12-16. 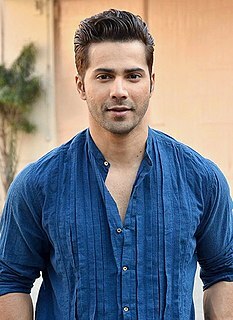 ↑ "'WINNERS OF THE FILMFARE AWARDS 2017' – Film fare". filmfare.com. ↑ "'I behaved like Gregory Peck to impress Suraiya' – The Times of India". Timesofindia.indiatimes.com. 2003-06-14. Retrieved 2012-09-30. 1 2 "Filmfare Awards Facts". Liveindia.com. Retrieved 2012-09-30. ↑ "50 years of filmfare awards". Hamara Forums. Retrieved 2012-09-30. ↑ Pinto, Jerry (April 1997). "Tangy titbits from the Filmfare past". Filmfare. Archived from the original on 5 July 1998. Retrieved 2012-01-13. ↑ "A golden glow for Filmfare". The Hindu . PTI. 2005-01-28. Retrieved 2011-01-26. ↑ "The Award Gallery – Trophy Partners". ↑ "Filmfare Award 2014: Priyanka Chopra Unveils Special 3D Trophy [PHOTOS]". Ibtimes.co.in. 2014-01-07. Retrieved 2014-08-05. 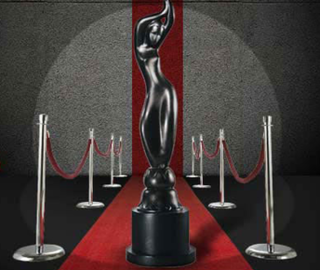 1 2 "Filmfare Awards to be held on January 24 - The Times of India". Timesofindia.indiatimes.com. 2014-01-07. Retrieved 2014-08-05. ↑ Kritika Ajmani (2014-01-25). "59th Idea Filmfare Awards 2013: Amitabh Bachchan, Salman Khan, Priyanka Chopra sizzle on the red carpet. View pics! – Bollywood News & Gossip, Movie Reviews, Trailers & Videos at". Bollywoodlife.com. Retrieved 2014-08-05. ↑ "Tonight at 7.30pm: we live blog (well, not really) about the Filmfare Awards | The National". Blogs.thenational.ae. 2014-01-26. Retrieved 2014-08-05. ↑ "Filmfare Awards Flashback: Record breaking films". filmfare.com. Retrieved 2018-01-18. ↑ "Nominations for the 64th Vimal Filmfare Awards 2019 | filmfare.com". www.filmfare.com. Retrieved 2019-03-14. Wikimedia Commons has media related to Filmfare Awards .